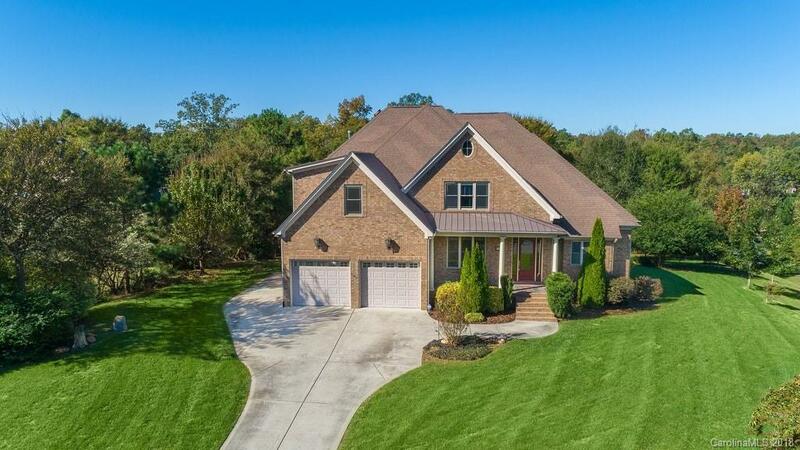 This custom home with stylish, open-concept floor plan, spacious rooms, covered back deck, fenced backyard with in-ground saltwater pool, and beautiful landscaping on a private 1.4-acre lot backing up to woods is great for relaxing & entertaining with plenty of room for kids and pets to play. Large dream kitchen with tons of cabinets and counter space offers a dining bar & breakfast area opens to a keeping room & great room. Master suite on main has a luxurious bath. Large Secondary Bedrooms & Bonus upstairs. Unfinished basement with outside entry has 500 sq feet of workshop or storage space! This home, located in the award-winning Clover School District, has no HOA fees. Other fabulous features include formal dining room, hardwoods in all living areas and bedrooms, tile in baths and laundry, surround sound speakers on main, water softener, gas and electric dryer hookup, and a grilling area with gas hookup on the back deck. Close to Charlotte airport, shopping and dining!